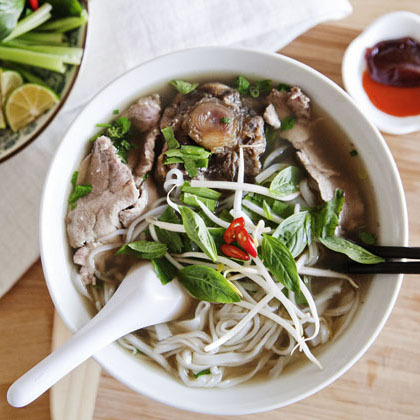 For the novice, it can be so delicious bowl of Pho, and also intimidating when you combine all the different cuts of meat, spices and essential cooking ingredients in a single meal. Fortunately Vincent and Mikey Kha, a pair of father and son who run Pho & Cafe Anh Hong in Upper Darby, PA teach you all how to do it. From then on what to look for when tasting to choosing the right sauces, learn quickly all you need to know from these PHO experts.